Pink Petal Swirl Umbrellas, perfect for the person who loves pink and petals in particular! 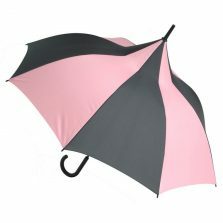 Perfect for those wanting to stay stylish in the rain! Scroll down for more information. Well, what can we say? 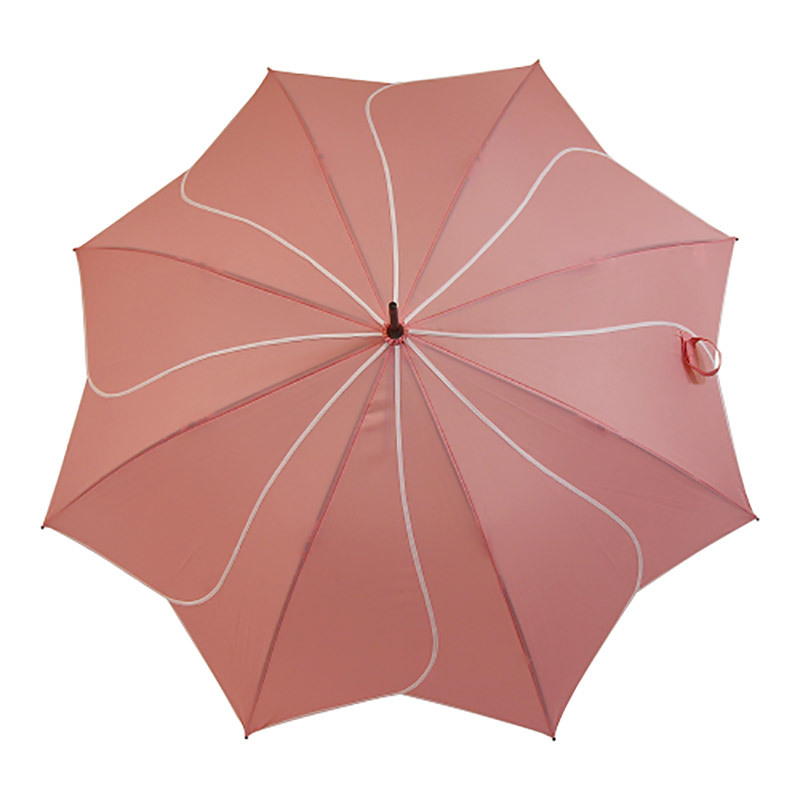 This striking pink Petal Swirl Umbrella will brighten up the streets and put a smile on your face. 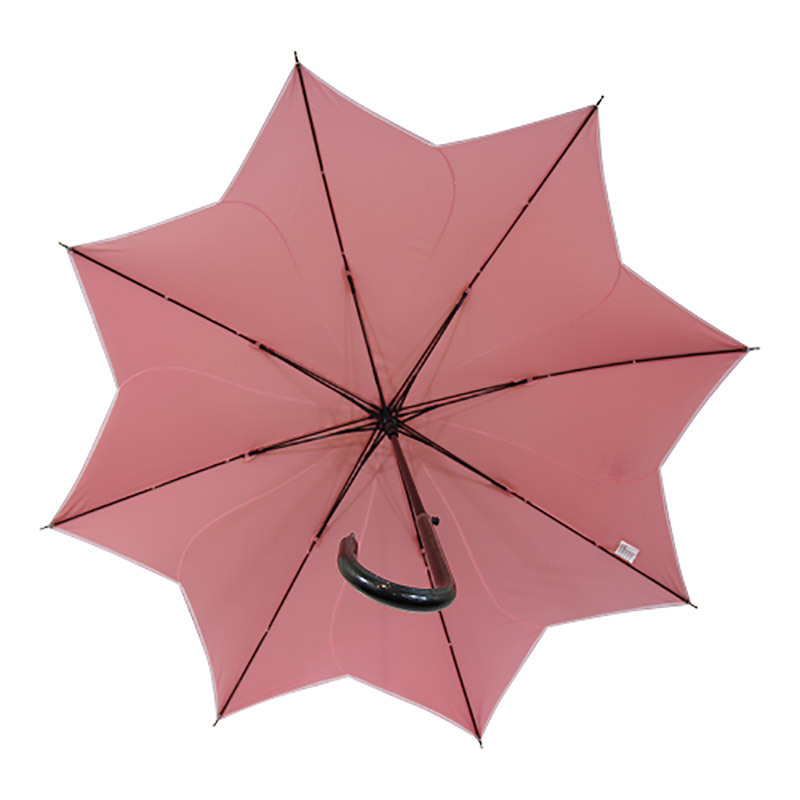 This beautifully made elegant, ladies pink stick umbrella features a striking swirl trim on each panel to create the unmistakable shape of a pink flower umbrella. This pink Petal Swirl umbrella is fully automatic opening with a sturdy steel frame, fibreglass ribs and fine leather effect curved handle. 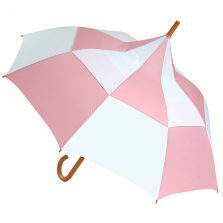 Size is 89 cm long and 106 cm in span when open. 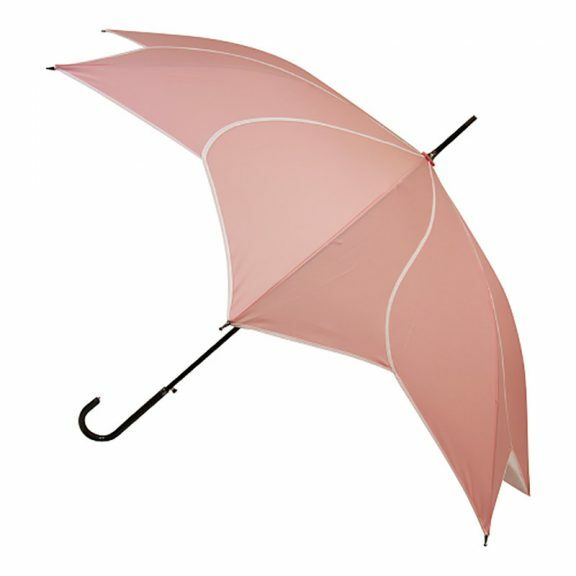 Umbrellas don’t always have to be the same traditional shape. 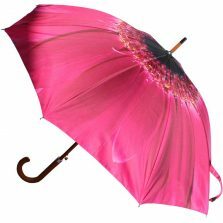 Go on, dare to be a little different and stand out from the crowd!